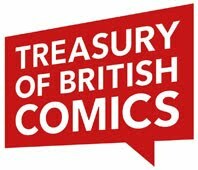 Comics based on tv shows may dominate the market for UK comics today, but it's a genre that's been with us a long time. The 1960s were particularly fertile with such publications though not all of them enjoyed great success. 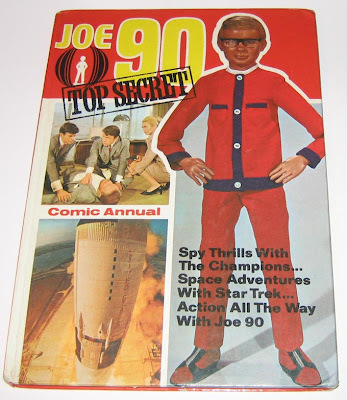 In 1969 City Magazines launched a Joe 90 weekly (or to use its full masthead title Joe 90 Top Secret, an attempt to cash in on the hugely popular spy genre of the period) as a companion comic to TV Century 21. 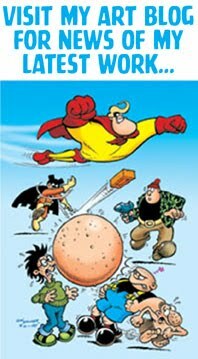 The title character being Gerry Anderson's latest tv show after the successes of Fireball XL5, Stingray, Thunderbirds and Captain Scarlet. 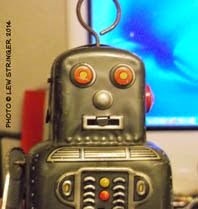 Unfortunately, despite some quality scripts, Joe 90 never achieved quite the same popularity. Presumably Anderson's idea was that nine year old viewers would identify with nine year old Joe 90. Not so. In my case, being a nine year old at the time, I wanted heroes to aspire to, such as Steve Zodiac or Troy Tempest in their futuristic environments, not "identify" with a peer in a modern day setting. I imagine most kids my age at the time felt the same. Joe 90 was too much like the big-headed blonde kid at school. Therefore when the Joe 90 comic came out I imagine we'd already built up a prejudice against this scrawny little swot. 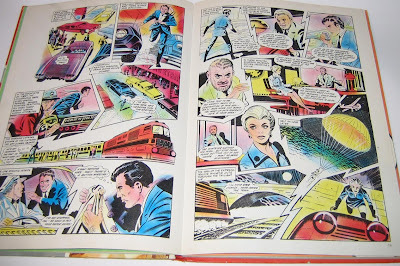 The comic led with a complete Joe 90 four-page strip which was okay as far as the limitations of its concept allowed. 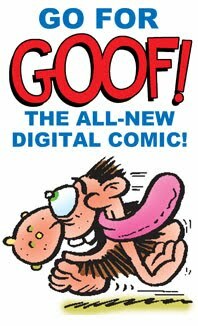 Luckily, the weekly contained a few other strips that were far more appealing to sixties kids. 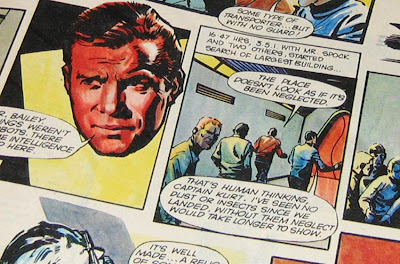 This was the first comic to feature a Star Trek strip by British creators. The other notable serial in Joe 90 was Land of the Giants, based on Irwin Allen's tv series about an Earth spaceship being stranded on an Earth-like planet populated by giants. 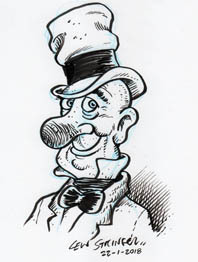 The first three issues of the comic ran a pleasing (albeit abridged) adaptation of the first tv episode, nicely illustrated by Gerry Haylock who remained the artist on the strip for the rest of the run in the comic. Other strips in Joe 90 Top Secret were The Champions (based on the ITC tv series) and an unappealing football strip called Ninepence + Tenpence = Sport. Ninepence and Tenpence being two lads from Greenland who spoke in a poorly written idea of Eskimo diction ("M-maybe Eyetooth hlappy now, b-but we vella ill! So hot!") Forgettable strip. The rest of the 20 page weekly was taken up with sports pin ups, short fact features etc. All in all, not a very substantial comic. Star Trek and Land of the Giants obviously being the main attractions (and both superbly drawn) but even they couldn't help the comic survive more than 34 issues; its imminent cancellation perhaps being a combination of falling sales and the editorial and design being taken over by Martspress. Although according to Howard Elson who worked in editorial, Joe 90 was selling better than TV21 at that time. Nevertheless, it merged with TV 21 to relaunch as TV21 & Joe 90 with a new No.1 in September 1969. 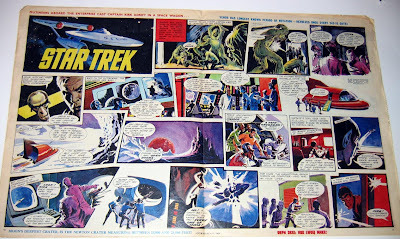 The Joe 90, Star Trek and Land of the Giants strips all survived the merger, with Star Trek having the most longevity as it also survived the later merger of Valiant and TV21. 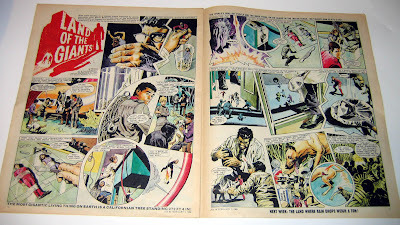 There was one Joe 90 Top Secret Annual published (1969) which is well worth seeking out for anyone interested in the artwork of Ron Turner. This hardback contains 19 pages of Turner artwork as he tackles Star Trek, Land of the Giants, and The Champions, making the latter look far more visually exciting than the tv series ever was. 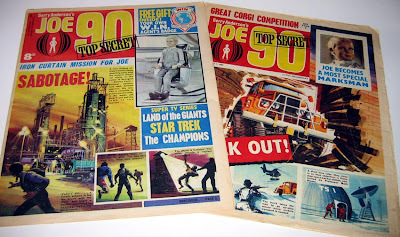 There were two other Joe 90 Annuals published around that time but they focus solely on Joe 90 and are not really spin-offs from Joe 90 Top Secret. 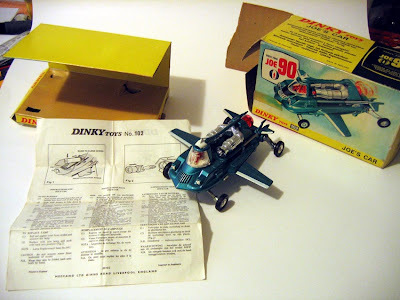 If any readers of this blog are interested in collecting Joe 90 merchandise I currently have the Dinky Toy Joe's Car in superb condition for auction on eBay HERE. 1) I totally agree that when I was 11 (at the launch date) I did NOT want to be the kid who knew everything! 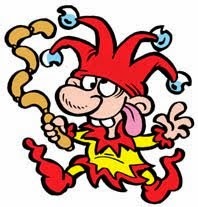 That was the role, at school, of somebody else! 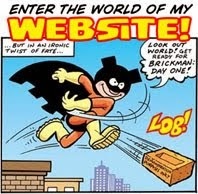 Would you have wanted to be Batman or Robin at that time (Holy Hogwash Batman!). 2) The Star Trek TV series DEFINITELY followed the comic. I remember my excitement discovering the news of the TV series. It was Art lesson and the newspaper I was painting on (to avoid messing up the table) had a picture of all the main crew on the bridge for a posed photo. It was there I discovered Capt. KIRK too! On seeing the first episode I realised that the comic, NOT the newspaper, was wrong! 3) I can believe Howard Elson's comment as after being a loyal follower of TV21 I'd got bored of it towards the end of the first run, but did buy the new Joe 90!. I've since repented of my childish ways and bought those I missed! Carry on the good work, W.I.N. Agent Stringer! My interest in 'Star Trek' began with this comic. 'The Champions' was interesting, though from the artwork it looks as though Ron Turner must have thought it was set in 2068 A.D.! 'Land Of The Giants' was great too. I bought the Annual a year back and was pleased to see that it was as good as I remembered. CRIKEY! 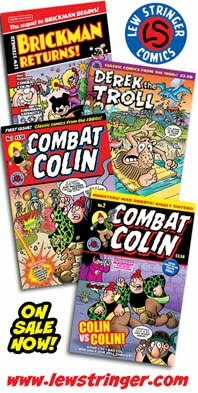 A new mag about British comics!